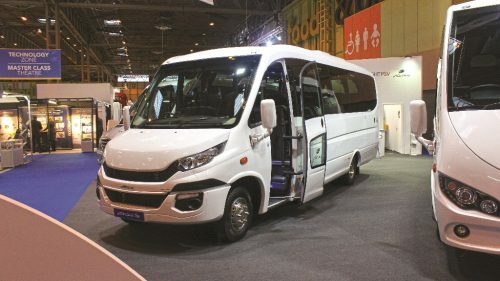 Connaught PSV of Thorne, near Doncaster, is celebrating a successful Euro Bus Expo 2016, where it has secured at least 10 vehicle orders. The firm’s most recent offering, the Iveco Daily-based Ferqui SR, saw four sales at the event. Three of these were 33-seaters, with the remainder a more spacious 29-seater. Two sales were made of the larger Ferqui F5, both of which were 36-seaters, while the Mercedes-Benz Sprinter-based Soroco, which is now standardised in an extended 7.64m length, also saw two sales. Both of these were 19-seaters. The company said it is optimistic of securing more business from the show once part exchange valuations have been completed.